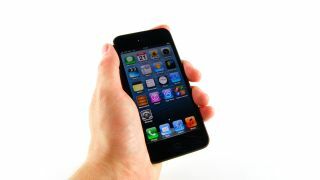 A recent report from ad network Chitika indicates iPhone 5 users are connecting to the web more than any other smartphone. The Chitika study found that since it launched on September 24, the iPhone 5 has rapidly risen through the ranks, and now singlehandedly accounts for three per cent of web traffic from mobile phones. When combined with previous iOS devices, Apple's ecosystem contributes to 46 per cent of all mobile web traffic. That's a significant lead over its nearest rivals, Samsung, which accounts for a total of just 17 per cent. It's not just the iPhone 5 performing well though. Chitika claims that the Galaxy S3 from Samsung, launched back in May this year, currently accounts for two per cent of mobile web traffic. While there's a huge difference between Apple and Samsung, it has also become obvious that the Korean giant has become the leading Android handset maker, with all other mobile devices accounting for just 37 per cent of traffic combined. Chitika conducted the study by conducting a user agent analysis on "millions of mobile ad impressions, spanning a 7-day time frame from October 3rd through October 9th, 2012". While there is debate about how reliable information garnered through ad impressions is as a tool for measuring web traffic, it does reinforce the idea that the current smartphone marketplace is becoming a two horse race.